Young children are in an intense period of development – physically, emotionally and cognitively – as they move from complete dependence upon others to having the ability to act and express themselves independently and develop social relationships.What happens before children enter school has a strong influence on how well they will fare once they are in the classroom. Research shows that the most successful children in school are those who were nurtured and stimulated when they were infants, toddlers and preschoolers. 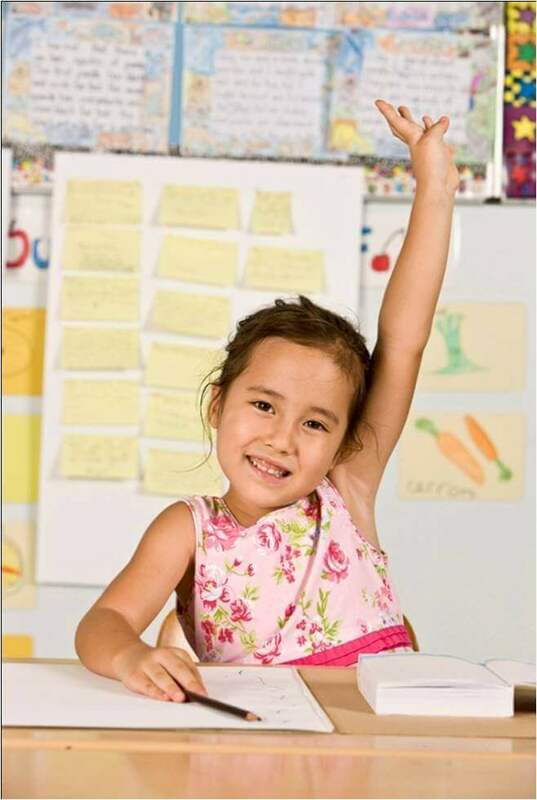 Such children are exposed to books, ideas, and number concepts; they are introduced to problem-solving techniques and they have opportunities to develop their social and emotional skills in group settings. With the skills acquired through these activities and children’s innate abilities and temperament, they have a learning base upon which they can thrive, and they arrive at school ready to learn. The Early Development Instrument, or the EDI for short, is a questionnaire developed by Dr. Dan Offord and Dr. Magdalena Janus at the Offord Centre for Child Studies at McMaster University. It is a 103-item questionnaire completed by kindergarten teachers in the second half of the school year that measures children’s ability to meet age-appropriate developmental expectations in five general domains: Physical Health and Well-Being; Social Competence; Emotional Maturity; Language and Cognitive Development; and Communications Skills and General Knowledge. Overall Vulnerability, measured by combining the information from all five domains, indicates children who are vulnerable on one or more domains of the EDI. This group reflects children who are vulnerable for problems in later childhood by casting a wide net that includes all children who may benefit from universal programs. Children in this group may be vulnerable on only one domain or may be experiencing vulnerabilities on two, three, four or all five domains of the EDI. The majority of children in Canada are doing well on each of the five EDI areas of development. Overall in Canada, one in four children (26.7%) is vulnerable in one or more areas of development prior to entering Grade 1. In 2014, girls were less likely to be vulnerable at age 5 than boys. The proportion of children age 5 who are vulnerable on one or more of the domains on the EDI score varies between provinces and territories. (Note: There are differences in how the EDI is administered between provinces and territories, as well as differences in how often it is administered. Therefore, the time period is not uniform – we need to consider that when looking at differences across provinces/territories.) Children living in the lowest income neighbourhoods were more likely to be vulnerable on at least one domain of the EDI than were children in the highest income neighbourhoods. In 2014, the greatest vulnerability among children vulnerable in at least one area of development was in the domain of Communication Skills and General Knowledge. (this includes skills to communicate needs and wants in socially appropriate ways, symbolic use of language, storytelling, and age-appropriate knowledge about the life and world around.) Language and Cognitive Development was the domain with the lowest vulnerability rates (this includes reading awareness, age-appropriate reading and writing skills, age-appropriate numeracy skills, ability to understand similarities and differences, and ability to recite back specific pieces of information from memory). Boys are more likely than girls to be vulnerable in the EDI domain areas of emotional maturity and social competence. The Emotional Maturity domain includes the ability to think before acting, a balance between being too fearful and too impulsive, an ability to deal with feelings at the age-appropriate level, and empathetic response to other people’s feelings. The Social Competence domain includes curiosity about the world, eagerness to try new experiences, knowledge of standards of acceptable public behaviour, ability to control own behaviour, appropriate respect for adult authority, cooperation with others, following rules, and ability to play and work with other children. Three tests were administered as part of the National Longitudinal Survey of Children and Youth and the Survey of Young Canadians to measure academic ability and school readiness among 4- and 5-year-olds. One is the Peabody Picture Vocabulary Test, which assesses a child’s verbal ability and scholastic aptitude by having them look at pictures and identify the picture that matches a word spoken by an interviewer. In 2006/07, the majority of children from 4 to 5 years of age scored at the average or advanced level on the Peabody Picture Vocabulary Test (about 86%). The second is the Who Am I? test, which involves copying and writing tasks – measuring the child’s ability to conceptualize and reconstruct a geometrical shape and to understand and use numbers, letters and words. The child’s ability to complete the tasks depends on many factors including maturity, culture, experiences, and language skills. The majority of children from 4 to 5 years of age (just over 81%) scored average or advanced on the Who Am I test in 2006/07. Finally, the Number Knowledge test assesses a child’s ability to understand and use numbers. In 2006/07, the majority of 4 to 5 year-olds scored average or advanced on the Number Knowledge test (almost 84%). Girls were more likely to score advanced on the Who Am I test than were boys. Boys’ and girls’ scores were approximately equal on the Number Knowledge test. The test scores on the Peabody Picture Vocabulary, Number Knowledge and Who Am I tests vary between the provinces. In 2010/11, children living in urban and rural communities scored relatively equally on the Peabody Picture Vocabulary, Number Knowledge and Who Am I school readiness tests. The mean scores for all three school readiness tests were higher among children living in higher income communities than for those in lower income communities. The mean scores on the Peabody Picture Vocabulary were also higher among those children who do not identify with a visible minority group than among those who do identified with a visible minority group. Children from visible minority groups have higher mean scores on the Who Am I test than do those who are not from visible minority groups. Children whose families had come to Canada in the 10 years prior to the survey had lower mean scores on the Peabody Picture Vocabulary and Number Knowledge school readiness tests than non-recent immigrants. 1What is the EDI? https://edi.offordcentre.com/researchers/how-to-interpret-edi-results/ -accessed July 31, 2017.